Today is a very special day for all of us Tunnies! I always feel like words are failing me when I try to express what being a Tunnie means to me. It has meant and means the world, it has meant knowing beautiful people, making wonderful memories, like the ones I have from seeing you in New York back in March. The moment you walked on stage and you spoke your first lines, and I realized that it was really happening, those are fond memories I will always go back to when I'll need a bright place to go to. Luckily memories are ours forever, and you gave me some great ones that day. You are such a beautiful, inspiringperson and artist. I hope the rest of the 2016 and the years ahead will be full of joy, serenity and light. I wish you a beautiful day full of love from all of those you care for. As announced, a part of the #TunneyWeek 2016 was about collecting entries for two fans project. 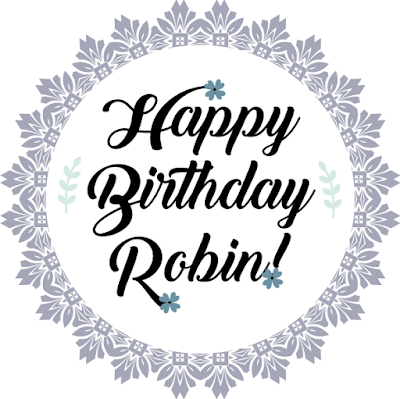 All the entries were finally put together, and the result is a "TunneyWeek 2016" Fan Book, with all the fans contributions, our Birthday present for Robin! I want to thank once again my "partners in crime", with whom I enjoyed putting together the #TunneyWeek: Andrea, Grace, Sarah and Vanessa. Also adding here, a lovely Birthday Video made by Valentina, a project I shared here some time ago. This is the final result, with a lot of Tunnies wishing Robin a Happy Birthday! Enjoy!